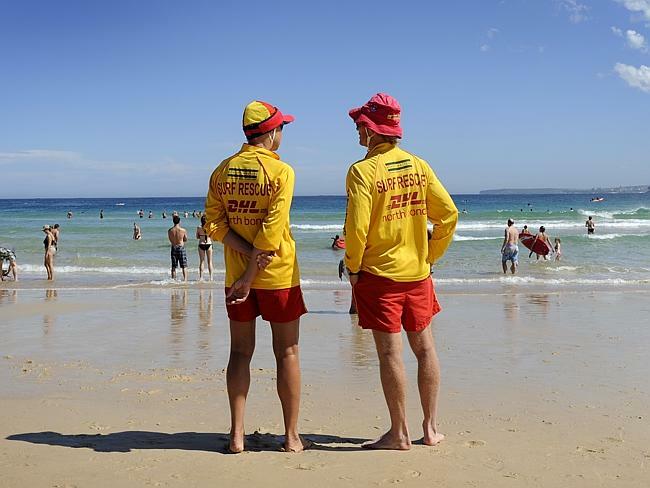 PARTS of Australia are in the midst of an extreme heatwave with Western Australia reeling from bushfires as NSW, South Australia and Victoria swelter and prepare for more dangerous conditions. Adelaide has suffered through its fourth scorching day in a row, as the temperature hit 45.1 degrees yesterday. 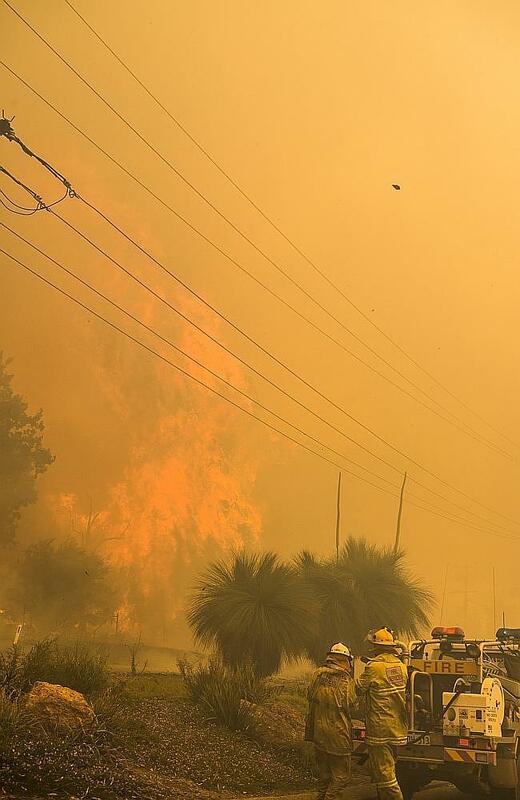 As the heat peaks, fires are raging across the southern state. By Thursday, the City of Churches is expected to hit 46 degrees. Sydney is expected to peak in the high 30s today, with Melbourne entering its second day in a week-long heatwave.Other capital cities are enjoying warm but less extreme temperatures. 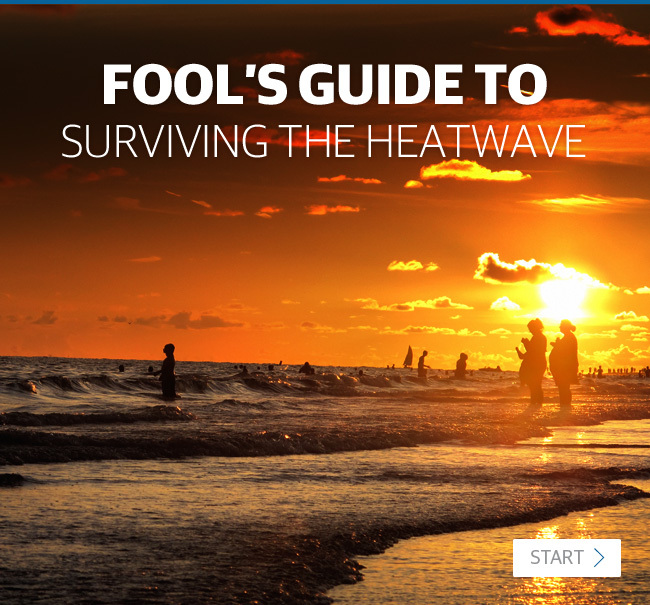 The bureau of meterology has for the first time defined a heatwave, saying they are three or more days of unusually high maximum and minimum temperatures in any area, ABC reported. In the last 200 years, they have taken more Aussie lives than any other form of natural disaster. 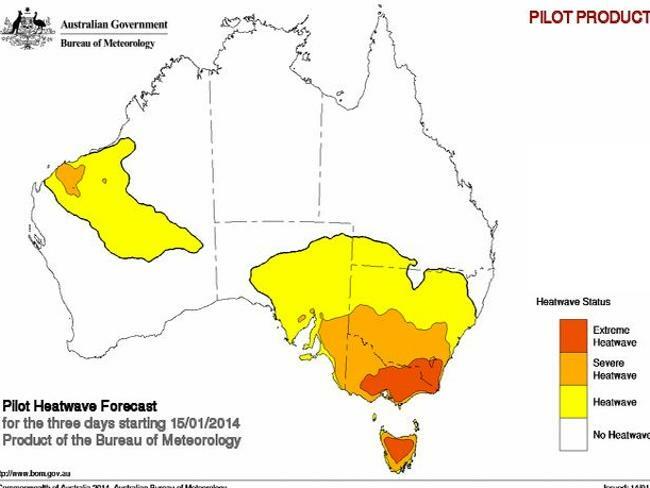 The BoM has also started tracking heatwaves with a new mapping system. It measures severe heatwaves and extreme heatwaves for today and the next four days. 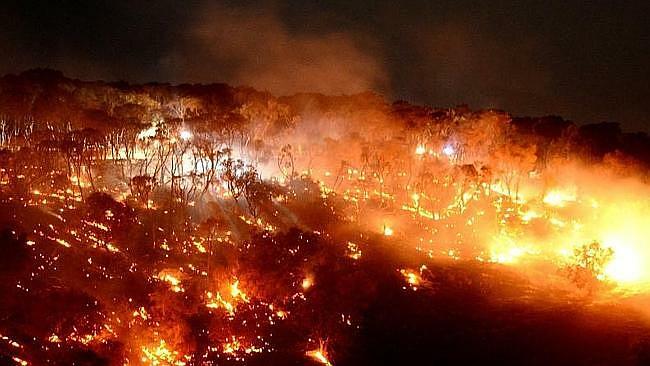 A similar heatwave struck before the 2009 Black Saturday fires, Australia’s worst natural disaster of the modern era in terms of casualties. An estimated 374 people died during the preceding heatwave, with another 173 fatalities in the firestorm itself. Most of Sydney will dodge the force of the heatwave today due to sea breezes, with temperatures staying between a mild-in-comparison 29 to 31 degrees on the coast. In the west, the mercury will rise higher – with temps smashing 37 today and peaking on Friday at an expected 39 degrees. Maximum temperatures in greater Sydney will probably remain in the high 30s until Saturday afternoon when a southerly moves across the city, a BoM forecaster told AAP. Extreme heat is also in store for large parts of the rest of NSW, the forecaster said, with the town of Deniliquin, in the Riverina, tipped to cop a number of 44C days this week. The heatwave is the result of a “very slow moving, high-pressure system sitting in the Tasman sea”, according to the bureau. “It’s been directing steady northerly streams for a number of days now, so it’s been building a lot of heat in the interior of the continent,” she said. 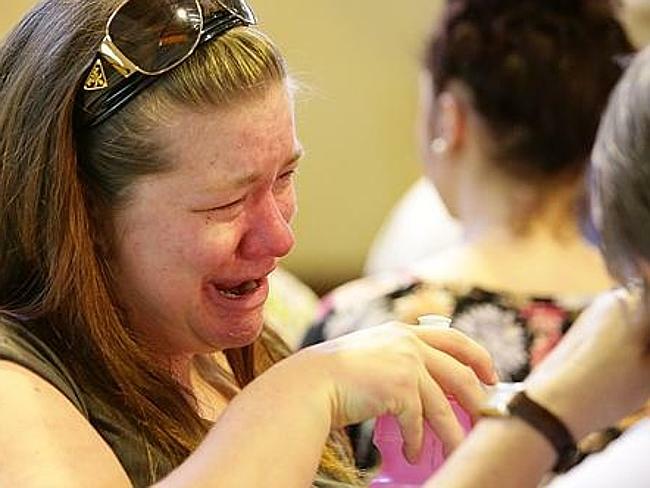 Victorian paramedics are struggling to cope with the influx of heat-related patients despite recalling all available staff for this week’s heatwave. Melbourne swelters through a day of temperatures in the early 40s. Federation Square. Melbournians are set to endure the second day of the longest heatwave in 100 years. The city reached 42.8C on Tuesday and is now set to endure four days in a row of above-40 temperatures after the bureau upgraded today’s forecast to 41C. 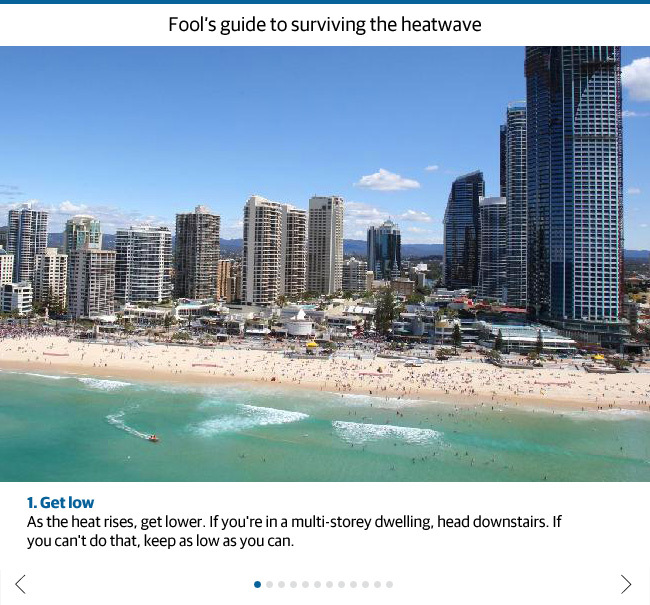 It’ll be the first time the city has endured such a heatwave since 1908, when there was a five-day streak above 40C. 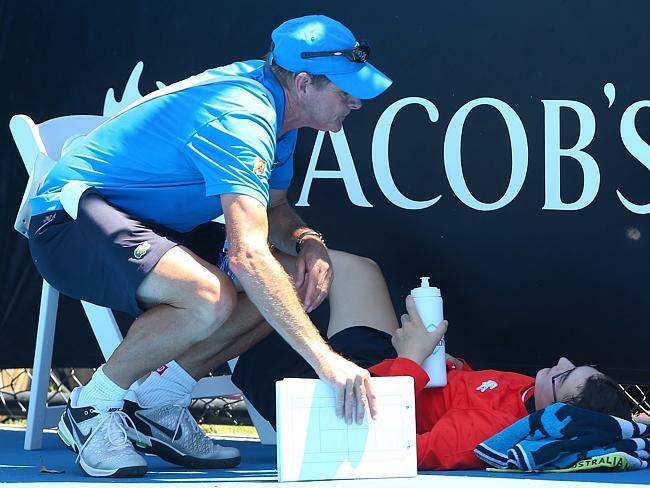 At the Australian Open in Melbourne Park, the heat was too much for one ball boy who collapsed in a heap. Ambulance Victoria operations manager Paul Holman urged those without medical emergencies to think ahead and seek alternative treatment. “We will be stretched, there’s no two ways about it,” Mr Holman said today. Victoria faces also some of its most challenging fire conditions since 2009’s Black Saturday, Acting Premier Peter Ryan said. Temperatures are threatening to peak above 40C for the next four days, with wind gusts of up to 100km/h. People are being cautioned to think before leaving pets and children in cars during the soaring temperatures. The Bureau of Meteorology says today’s temperatures are rising quickly and would hit 40C in Melbourne just after midday, The Herald Sun reports. Dangerous fire conditions are expected for the rest of the week with temperatures remaining above 40C tomorrow and Friday. Across the state, the heat was expected to hit 45 degrees. After a stinking hot night, electical storms hit causing chaos for emergency services. 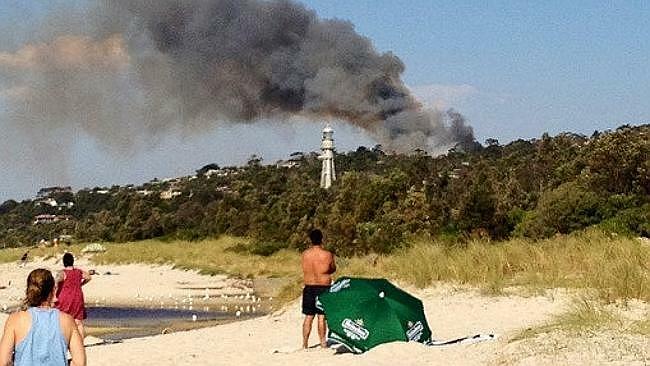 From 5pm to 12am, fire crews responded to 256 fires, CFA state duty officer Scott Purdy told 3AW radio. 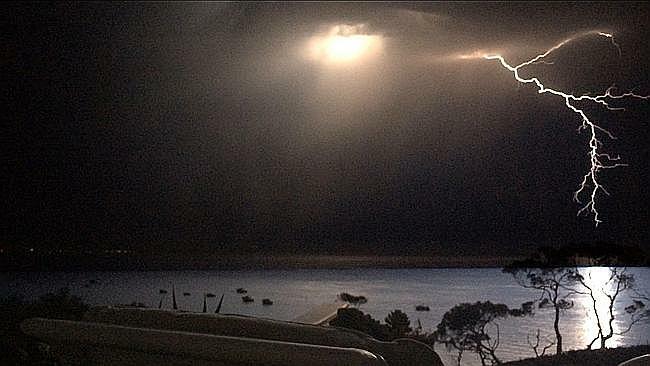 They worked throughout the night extinguishing hundreds of fires in the driest parts of Victoria sparked by dry lightning from electrical storms. 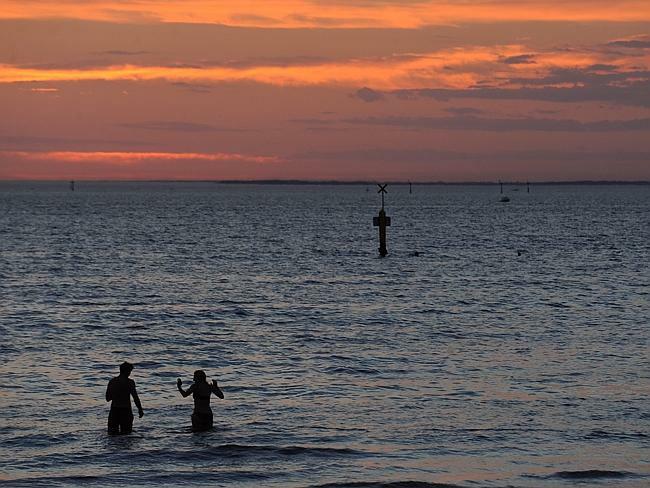 In South Australia residents are in day three of a five-day heatwave, with Adelaide expecting 45C again today with the heat rising over the next few days. Severe fire danger ratings have been declared across the state. 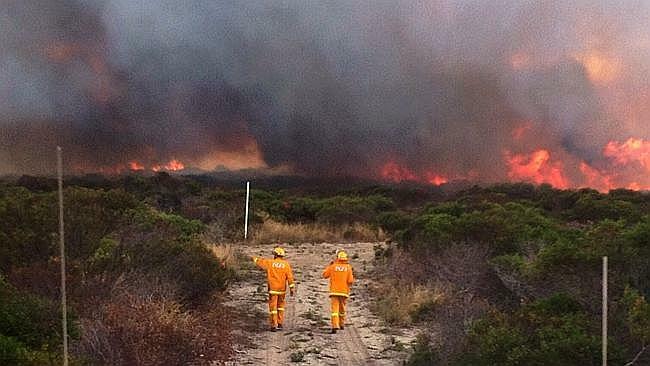 Most fires were sparked by lightning strikes and at least 14 grassfires are still burning today. Adelaide sweltered through 45C on Tuesday, just one degree short of its all-time high of 46.1C set on January 12, 1939. 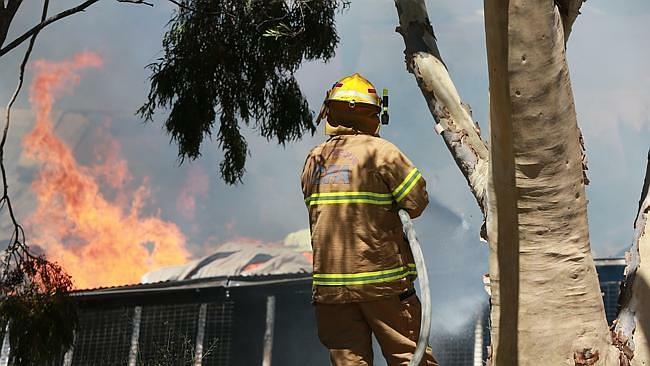 A woman is in hospital with burns after her house was destroyed in one of about 350 bushfires across South Australia during the state’s extreme temperatures. 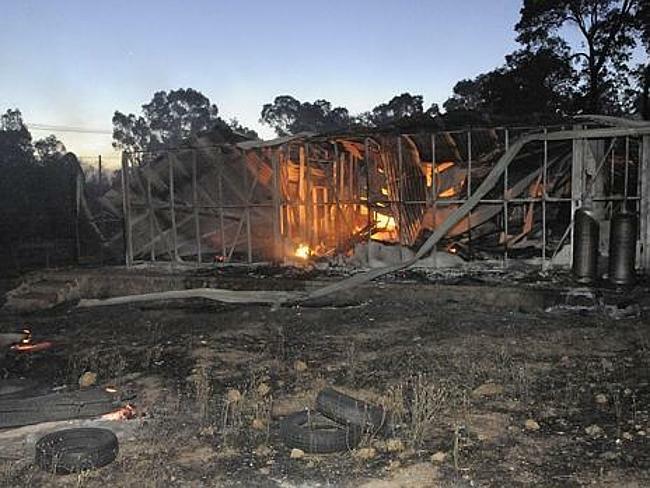 Last night, the woman was taken to hospital after being burnt while trying to save her home at Rockleigh, near Monarto Zoo, south-east of Adelaide. 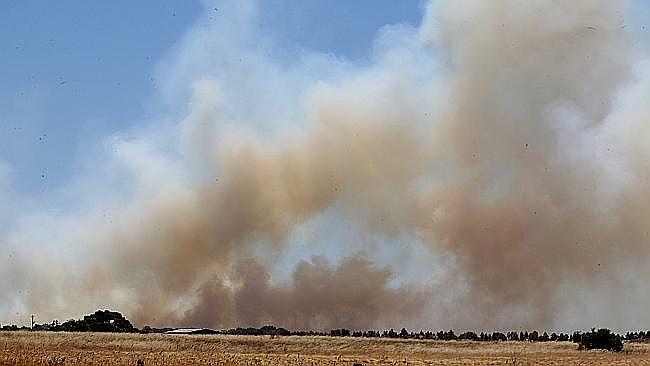 The fire at Rockleigh, near Monarto Zoo, is still out of control and has burned an estimated 4500ha of scrub, Adelaide Now reported. Leigh Miller from the CFS said firefighters were stretched, with hundreds of fires burning at one stage. 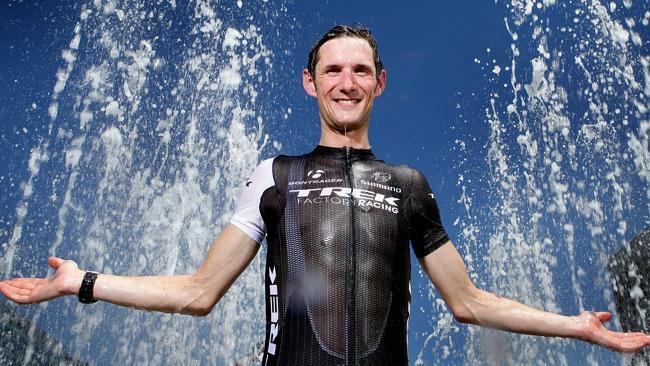 “We have not really seen the worst of the weather yet,” he told ABC Radio. Friday was a potentially very bad day, with significant winds predicted in very high temperatures. The CFS is at a number of fires, including one at Flaxmans Valley Road, Wilton in the Barossa Valley. The fire is now contained, but a large number of burning trees might pose a risk of the fire escaping control lines. 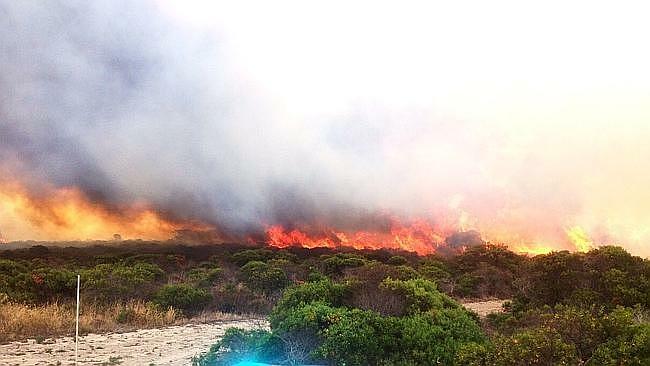 Other fires are burning on the southern Fleurieu Peninsula near Delamere, while the Rockleigh fire is still out of control. In Western Australia, fire authorities say a devastating bushfire in the Perth hills that destroyed more than 50 properties was probably sparked by a power pole on private land. 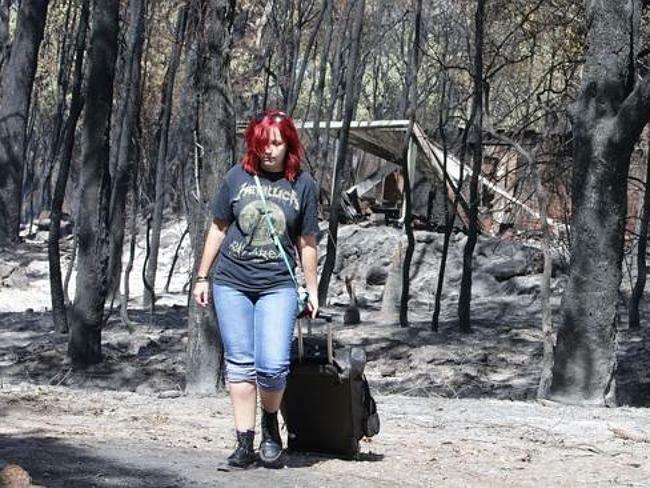 Residents have returned to inspect the devastation caused by Sunday’s inferno in the Perth Hills, Perth Now reported. As firefighters continue to mop up in Stoneville, Parkerville and Mt Helena, authorities have confirmed the toll of properties lost at 52, with more than $13 million in damage already reported by insurers. The fire is also being blamed for the death of one man, 62-year-old Ron Shaw, who collapsed as he stood on the roof of his Hovea home to prepare for the arrival of the flames. 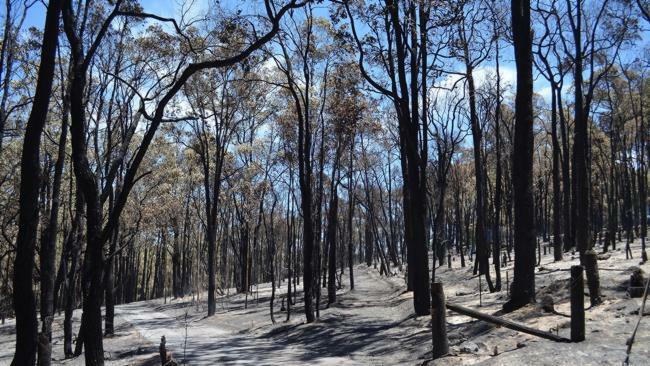 The blaze, which tore through 650ha in the Shire of Mundaring on Sunday, is now contained. Power remains out for about 450 homes in the region, the Department of Fire and Emergency Services (DFES) said.DFES said residents in the “zone where home have been lost” would be prevented from returning to the area today because it was “hazardous due to damaged infrastructure, downed powerlines and the risk of falling tree limbs”. “People outside this zone are allowed to start returning to their homes, however they are required to register for a permit and access will be restricted,” DFES added in a statement. The agency said a watch and act alert remained in place for the eastern part of the Parkerville, Stoneville and Mount Helena. “Firefighters will continue to strengthen containment lines and ensure the area is 100 per cent blacked out throughout,” DFES said. Counselling services have been made available to the dozens of people whose homes were razed in the fire. Fire authorities have confirmed the blaze was most likely sparked by a fallen power pole on private property.